Are you planning a trip to Arlington anytime soon? Would you like to know the insiders scoop of what is fun and worth your limited time? We have you covered, we’ve narrowed it down to 3 daytime attractions and 3 of our favorite food spots. We are obsessed with this museum. It really is fun for all ages. There are plenty of fun things to see and do while you are inside and so much to learn about. Make sure you check this out during early- to-mid week, weekends tend to be packed. Take a tour with your own exclusive guide who is dedicated to just your group. See the Nation’s Capitol up close and personal as you glide effortlessly around the city. Your guide will begin the tour by discussing with you what you want to see on tour. Then, after a quick Segway orientation session, you’ll be on the road taking in the city’s highlights at your own pace! 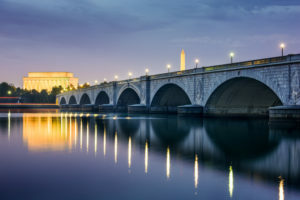 See Washington D.C. from a new perspective, try a cruise along the famous Potomac River. You will see the popular attractions such as the Washington Monument, Lincoln Memorial, and Arlington National Cemetery. While seated on the boat, not only will you be amazed with the lovely views, but you will be learning new facts and history throughout. If you are a big fan of craft beer and good food, make sure you check out this hidden gem. You will love the rustic, airy, setting and enjoy the farm-to-table contemporary menu. 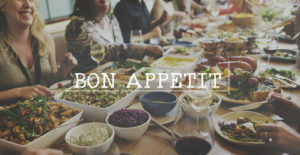 The food ranges from mouth watering soups, appetizers and burgers to seafood, and steak, along with an indulgent brunch. From beautifully decorated cupcakes, vegan cookies to delicious macarons, your tastebuds will thank you. If you have a sweet tooth and are looking for a treat make sure you try this place. The java chip ice cream sandwich is to die for. Breakfast, Brunch, Dinner & Cocktails. This is your spot. The restaurant combines new concepts in food, beverage, entertainment and ambience. There are a variety of indoor and outdoor areas, including a rooftop bar and an outdoor patio. Wilson Hardware offers a well diverse menu offering vegetarian options, incredibly fresh seafood, and savory grass fed beef burgers that will have you wanting to go back the next day.